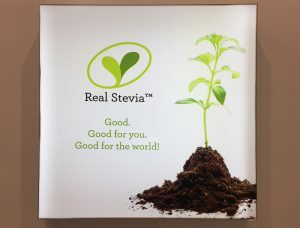 What's cooking at Real Stevia! We are back in the Stockholm office after a couple of intense and inspiring days at the giant Food Ingredient Europe (FIE) fair, hosted in Frankfurt. Thousands of ingredient companies presented their products in three huge hangars where it was easy to get lost. The Real Stevia Company shared a booth with our hospitable distributor Kreglinger and some of their other suppliers. In the cold winter months it can be hard to avoid those alluring sugary treats that tend to pop up from every corner and family meeting. 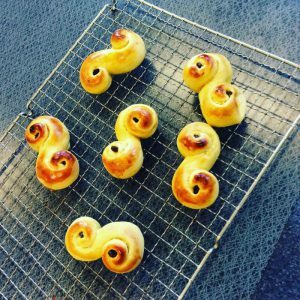 Fear not, here is our recipe for traditional Swedish saffron buns with stevia and no added sugar! 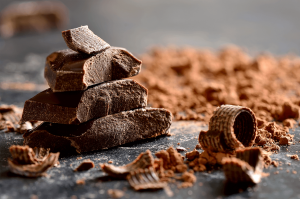 Can you eat chocolate and do good for the world at the same time? What if I told you there is a sweetener that is healthy for you, and that you can eat with a good conscience. Well, did you know there is a leaf, carefully farmed in the green fields of Paraguay, called Stevia. The health benefits of Stevia are quite impressive; no calories, 100% natural and it even suites diabetics, as stevia has no effect on your blood sugar. But it doesn’t stop there. Stevia is also 300 times sweeter than sugar, so you need to use less, which means saving land and water resources. It goes without saying that this benefits the environment. We know that most of you don’t have time to scan the news every day, so we put together a short list of the most interesting sweet news for you! 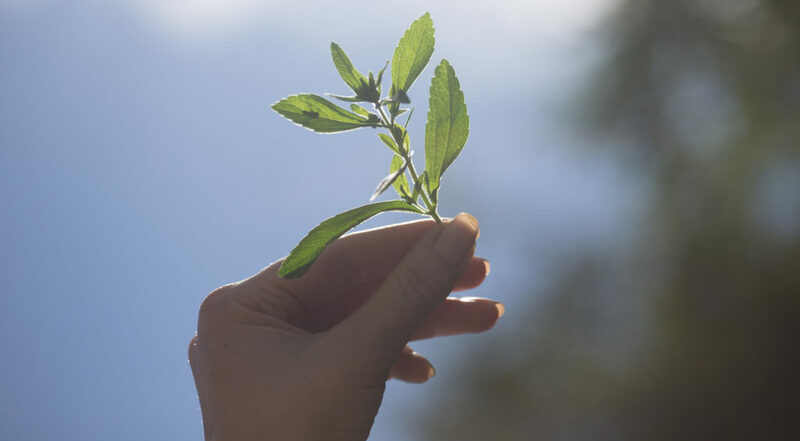 Stevia leaves are approved in the EU! 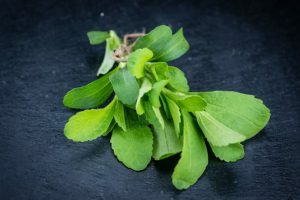 We hoped, we lost faith, but finally the sweet tasting stevia leaves have been recognised as safe and approved to market and sell also in the EU. 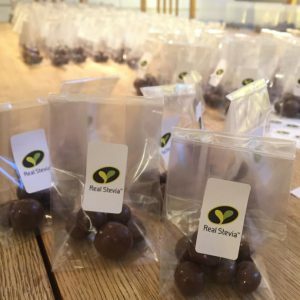 You’ll find more details about the stevia regulations here at our blog soon, until then read the amazing news here. It was finally time for us, Anna and Carl-Fredrik, to visit Paraguay for the first time. After a 24 hour long trip we arrived in Paraguay, where our stevia plantations and second office are located. Our first impression, besides the very moist heat, was that it wasn’t that different to Sweden, where our trip had started. Even though our countries obviously have major social and geographical differences, the people, values and ambitions are very similar. Everyone we met was very open and friendly and we communicated in a lively mix of Spanish, Portuguese, and English. Our Paraguayan multilingual colleagues helped us with translation into the native Guarani language when meeting with the farmers. 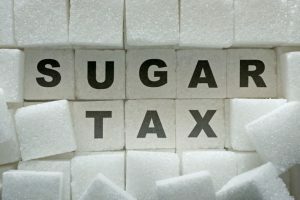 What’s the deal with the sugar tax? 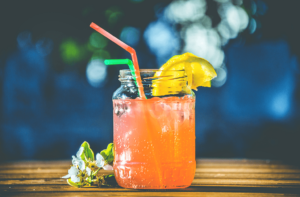 As you may have heard in the news, or in the blogosphere, there’s a lot of buzz around a sugar tax or sugar levy being passed into law all around the world. Let’s try and dispel some myths and give some background into why this is becoming a world-wide trend.